As much as you may want to address your salary requirements before going through the arduous task of interviewing, waiting until later in the interview stage before negotiating a starting salary will help you get the salary you're looking for and increase your likelihood of getting hired. Waiting until later in the interview process before brining up compensation provides you with more leverage, since the number of candidates will be smaller and the company will more than likely be convinced that you are a solid candidate. You'll be in the best position to negotiate your salary after an offer has been made. It's not uncommon for a company to discuss your salary requirements before the actual offer. When discussing salary figures prior to receiving an offer, it's important to be flexible and willing to compromise, even if you a specific salary requirement. The first salary offer a company makes is usually not their best offer. However, it is not a good idea to ask for a better offer after accepting an initial one. Avoid salary negotiations right after the company makes a job offer. Express appreciation but ask for some time to consider it. Companies usually provide people they want to hire a short period of time to think about the offer. This will give you time to consider whether or not you really want to work for the company based on the offer they've made. Waiting to negotiate your salary will also let the company know that you're serious about the position and have given their offer some serious thought. Conduct research to better prepare yourself for salary negotiations. It is beneficial to have an understanding of the average salaries of people in your field with comparable experience, salary levels of workers in the city where the company is located, and average salaries for people currently working with the company that is making you the offer. You should also take some time to familiarize yourself with details about the company's benefits or compensation plan (e.g., health insurance, life insurance, retirement matching, etc.) Not performing adequate research puts you at a disadvantage and can lead to the acceptance of a low starting salary. Most organizations are willing to negotiate starting salaries with new hires, so don't let fear or inexperience stop you. It is not necessary to spend a lot of time researching tactics. Rather, you should be familiar with some basic negotiation skills. Remember, even if a company tells you their first offer is their best, it usually isn't. 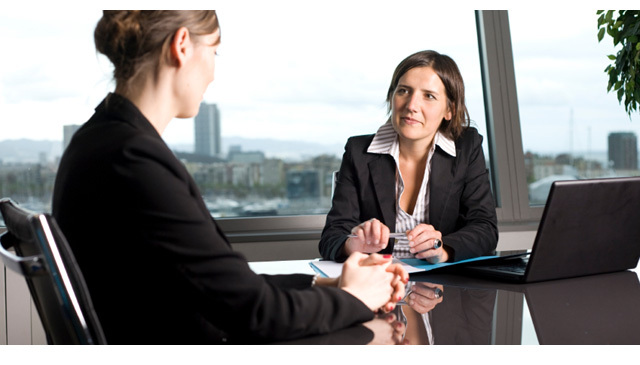 Utilize your talents during salary negotiations. Good writers should submit their counterproposals in writing, while effective speakers can schedule one-on-one meetings with a manager. Putting your talents on display during the salary negotiation process will also show a prospective employer that you're really worth the money you're asking for. During salary negotiations, request a salary slightly higher than what you want, so if the company hiring you counters, it will be close to the dollar amount you're seeking. After you are hired, be sure to work diligently and efficiently to demonstrate to your employer why you deserve the salary you requested. Also, once you've requested a specific dollar figure, don't change it. If you do, you'll loose credibility and quite possibly the job. Frequently, employers refuse to negotiate starting salaries. If this is the case for you, request performance based bonuses or a signing bonus. Requesting a performance bonus is a particularly good idea if you're job (1) produces measurable results or (2) is tied directly to revenues. If the starting salary you've been offered just won't cut it, then proposing a performance bonus in writing, that is truly based on your performance, is a great idea. What do you have to loose? If you make a counteroffer, list some benefits you are willing to go without if your employer cannot afford your requested salary otherwise. For example, if a prospective employer offers a starting salary of $42,000, but you required $48,000, explore the possibility of giving up other benefits the employer offers to gap the $6,000 difference. If your salary requirement is sincere, based on sound research and within shot of the offer, most employers who really want to hire you will find a way to work with you. Even if the starting salary is non-negotiable, you can request additional paid days off or vacation days, compensation for relocation expenses, etc. Requesting a company car (if travel is required) or cell phone are not unreasonable requests, as these are items that many employers provide for their employees and it will greatly reduce your monthly expenses. At the end of the day, it's about the bottom line. A company hires a new recruit with the expectation that doing so will increase revenues more than expenses. While negotiating a starting salary, constantly remind your new employer what specifically you bring to the company and how you will help improve productivity, and ultimately profitability. The reality is that most new employees are a big risk to a company, and may or may not pay off in the long run. When you can show, and convince, a prospective employer that you're worth X dollars a year, they'll be much more willing to work with you on your salary. Also, be sure to be optimistic and express appreciation. Make sure you're set on working for a company before you enter into salary negotiations. Do not participate in salary negotiations if you plan on refusing whatever the company offers. Do not attempt to get companies bidding against each other if more than one company wants to hire you. This is a very ineffective strategy, and it's unprofessional. If and when either company catches wind of what you're doing, you're likely to loose your job offer(s) and loose your credibility. Do not be pessimistic during salary negotiations. A manager might be able to sense whether you have a poor attitude. No one want to pay a pessimistic any more than they absolutely have to, let alone worth with them. As a rule of thumb... always be positive and optimistic in everything you do -- if you want to be successful. You might be placed in a situation where starting salaries are non-negotiable. A poor economy, a company's size, or being inexperienced are just a few factors that an employer might cite when refusing to negotiate wages. If this is the case, dont' be overbearing or pushy, but is okay to offer alternatives. As much as you may expect a prospective employer to compromise, they'll likely expect the same from you. Do not demand a salary that you refuse to budge on. If the average annual salary for a professional in your industry, with your experience, is $65,000 to $75,000 a year, it may be wise to ask for $70,000 a year, understanding that you may need come down on your figure and the prospective employer may need to come up on theirs. What ever you do, always be polite and professional. Just because a company has made you an offer, and you've made a "reasonable" counteroffer, they still might change their mind. After making a counteroffer, be ready for a number of different responses, including acceptance, rejection, or acceptance with minor compromises. Sometimes it's best just not to negotiate. You must be prepared to stop negotiating if it is going horribly -- and if you can't afford to loose the job. Many people are not in a situation to negotiate because they do not currently have a job or other offers. If you must accept the job, do not make ultimatums or leave the negotiating table. You'll always be in a strong negotiating position if you are currently employed or have other job offers on the table. If the new employer agrees to your requested salary or counteroffer, do not request additional money. This is unprofessional, and the job offer could be dropped. In a best case scenario, you'll be hired but loose the respect and/or goodwill of your employer (but you'll like have your job offer rescinded). Ever heard that, "A sandwich just isn't a sandwich without the zangy taste of Miracle Whip." Well an job offer just isn't an offer unless you get it in writing, no matter how much you want it to be. Request an accepted offer in writing. Companies refusing to do so are unprofessional and not on the up and up. Consider preparing a written counteroffer since your requests will be listed.